There are a number of emerging concerns like crime, theft, murder risks that need to be addressed in order to remain efficient and secure. 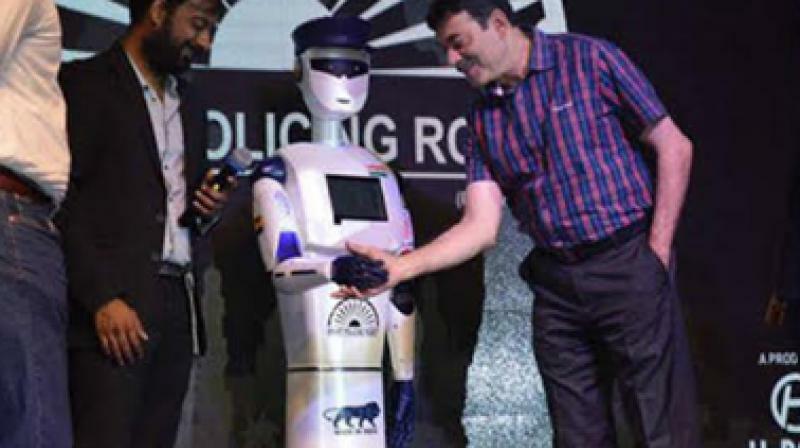 H Robotics have developed the smart policing robot. The robot can file complaints, detects bombs and answers queries. Keeping knowledge and information safe is more important than ever. The way our security industry works has changed significantly over the last decade. There are a number of emerging concerns like crime, theft, murder risks that need to be addressed in order to remain efficient and secure. However, as the market evolves and the threat becomes more complicated, 100 per cent security should be ensured. Identification of emerging technologies orientation of work on new technologies should be encouraged so that the Police Forces can be equipped with the best and are capable to resist any threat. 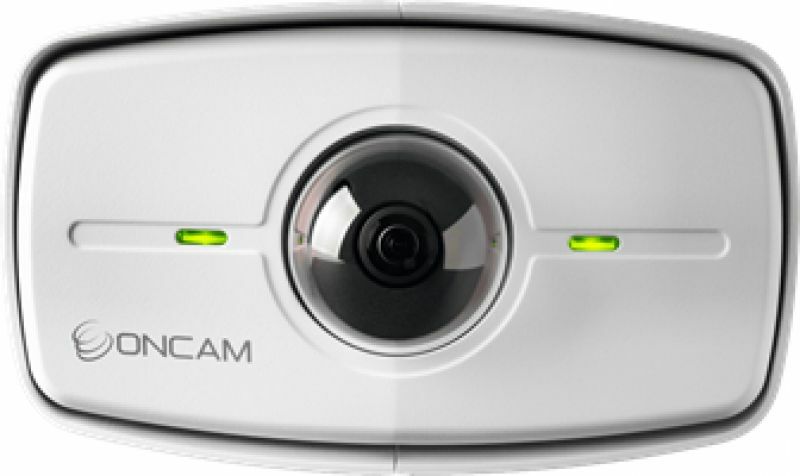 Oncam 180 degree camera product range: 180-degree camera range meets the needs of customers in a variety of markets that require a purpose-built wall-mounted camera with Panoramic+ views from a single sensor. Environments that benefit from this unique view include education, hospitality, casinos, banking, retail and transportation, which demand to monitor large walkways, open spaces and corridors without blind spots. Staqu AI-powered smart glass for personal security: The Smart Glass is capable for both, speech and image recognition, and thus, can be used to identify potential threats to the civil society, such as criminals, intruders or terrorists, lurking around or amidst us. The smart glass has an inbuilt camera which captures input to trigger Facial Recognition. Once the face is identified from within the given databases, the Smart Glass projects the results on the glass screen. The entire process happens in real-time as the user simply glances over the vicinity. Even in wild scenarios, the Smart Glass by Staqu first-of-its-kind technology fuses together speech and image recognition to utilize a hybrid identification technology and uniquely identify anyone. 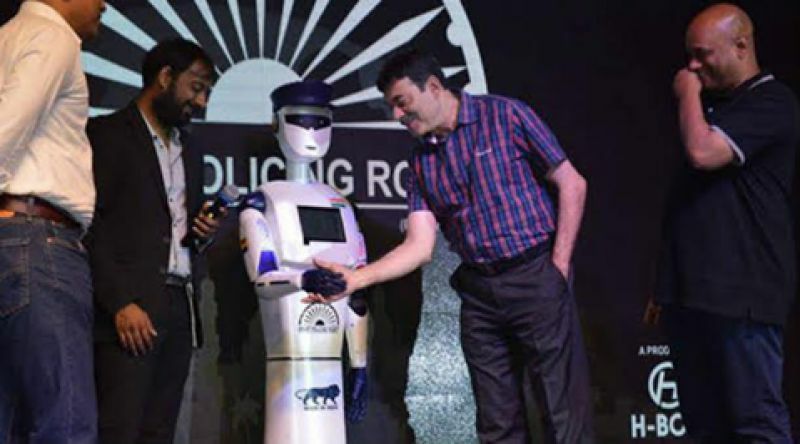 H Robotics: Have developed the smart policing robot. The "Robocop" will help police handle law and order. The robot can file complaints, detects bombs and answers queries. He is named after 26/11 martyr Hemant Karkare. It is designed to protect private and public areas like malls, offices, airports etc. It can also be used as an assisting in database handling, surveillance, and space security.